ASTANA – Astana Club International discussion platform held the first day of a Nov. 12-13 meeting presenting 2019 Global Risk rating for Eurasian region. The rating distinguishes ten major risks for the region that need to be addressed for the Eurasian integrity and peacebuilding. 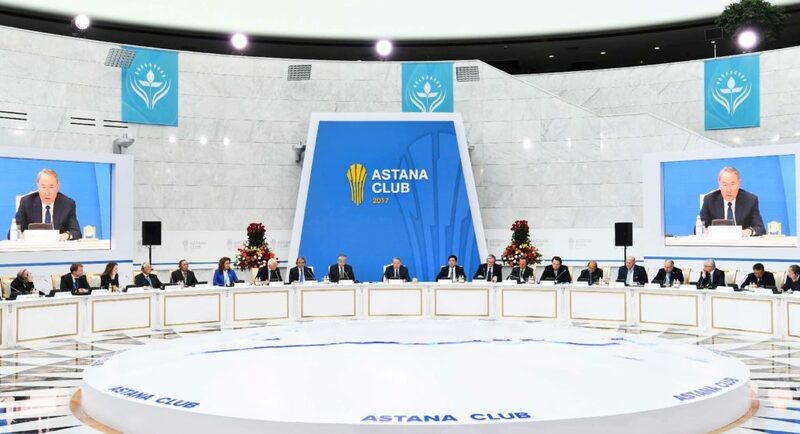 The date of the Astana Club meeting is a symbolic date. Hundred years ago, Nov. 11 was the end of the First World War that led to large-scale territorial changes in Eurasia. According to organisers, currently Eurasia is once again facing important changes and difficult issues that need to be addressed by the world community. The first step to the integrity is to identify key issues and risks in the region, which is presented in 2019 Global Risks rating. “Today is symbolic date. We present our wonderful report one day after the celebration of 100 years of the end of the First World War. Many experts say that world system is experiencing the process of misbalance. Risks grow and instability grows, even in such a stable region as Central Asia … The product that is presented today [the rating] is of high quality. I travel around the world and saw many reports… and this is a great achievement,” said Atlantic Council’s Senior Expert Ariel Cohen at the press conference. The purpose of the rating is to assess current geopolitical and geo-economic processes both in the Eurasian region and throughout the world. 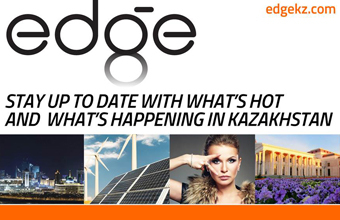 According to Institute of World Economics and Politics (IWEP) Director Yerzhan Saltybayev, although the identified ten risks do not directly influence Kazakhstan, their impact is significant. Among major ten risks are the relationship between global powers such as Russia, the U.S. and China including the escalation of the confrontation between China and the U.S. degradation of relations between Russia and the West. The list also includes trade wars, the war in the Middle East, “defrosting” hot spots in Eurasia, growth of separatism and ethno-confessional conflicts, aggravation of environmental and water challenges, strengthening and evolution of cyber threats, the beginning of a new arms race and risk of major nuclear and man-made disasters. “This rating was made by IWEP. During the research, opinions of more than 30 experts from around the world was collected and approximately 1,000 experts participated in the survey, the results of which helped us to identify major ten global risks of 2019… The aim of the rating is to attract attention of the world’s politics and experts to the trending issues and to discuss solutions to these issues on the Astana Club discussion,” said Expert of IEWP Zhanibek Arynov. According to Cohen, although the rating distinguishes major risks, the political and economic issues in the region should be considered from different perspectives and in deeper context. “Many talk about trade wars, I, unfortunately, see this not only in this context; it is also perspectives of the growth of People’s Republic of China, its economic and military growth and growth of competition between China and the U.S… Dialogue between the U.S. and China should include not only trade issues, but [ways] to prevent confrontation in South China Sea [or] agreement on medium-range missiles,” noted Cohen. The participants also noted the role of the platform in global dialogue. “Astana Club is a unique platform not for the balance of powers, but balance of ideas,” said Eurasian Studies Institute’s Director and Shanghai University International Relations and Public Administration School’s Professor Yan Chen. 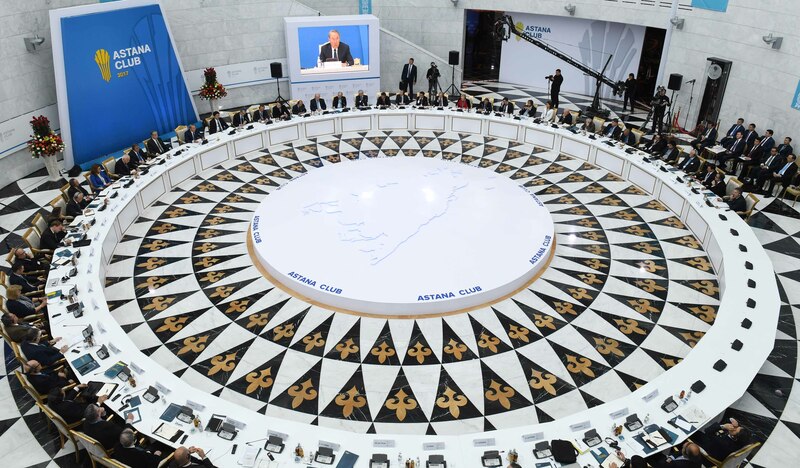 The club is an international discussion platform in the format of a political forum that brings together leading experts, politicians and diplomats from around the world. The focus of the experts is to discuss the challenges in Eurasia in times of crises and uncertainty.